Become a part of the 300,000 members who have trusted us to take their wedding business to the next level. You know who’s right for you. The Knot Pro can help you win them over. Even before popping the question, couples turn to the #1 wedding brand for inspiration on everything from the ring to the reception. 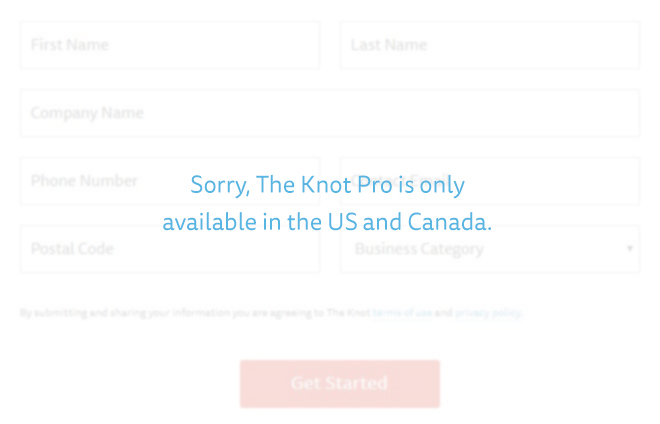 Partner with The Knot Pro to get discovered early. A Storefront (your personal portfolio on The Knot) helps you make the best first impression and build trust while showcasing your work, background and passion. With upfront details like wedding style, date, guest count and more, it’s easy to personalize your pitch and get the right couples to fall in love with you. Feel inspired by industry leaders, get 1:1 wedding business advice, win a Best of Weddings award and network (AKA party!) with other pros.